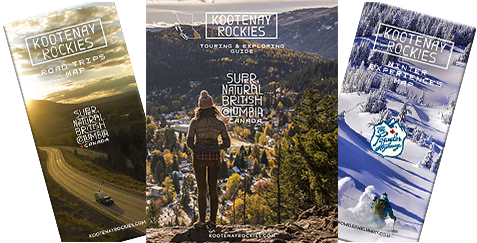 Wondering where to meet a few of the Kootenay locals during your visit? Check out our community's unique vibe over a signature menu item or a flight of beer at our restaurants, pubs and craft breweries! Played on real sand, this is outdoor beach volleyball at its coolest. Two to six players, play up to 21. Did you know that the first two-person game of volleyball played on a beach was in 1930? Pair your game with ‘Poutine’, at the Big Eddy Pub in Revelstoke, the classic is topped with gravy & cheese curds or try the authentic Quebec with chicken, green peas and sautéed mushrooms. The goal of the game is to hit a sign with a golf ball (with a driver only). Each player has an opportunity to pitch their ball and hit the sign, which is 12 m. (40 ft.) and 32 m. (105 ft.) away. If a person hits the target, the groups buys him/her a beer and if 2 or more people hit the target then multiple beers are purchased by those who did not hit the sign. This unique driving game is at Redstone Golf Resort in Rossland. Proceed to the clubhouse to collect your winnings and enjoy your favourite craft beer by the Trail Beer Refinery. Sounds simply enough, swing the ring and to connect it to a hook. But you will need a little finesse and skill to get the job done. The key is swing the ring gentle at the right angle. Each participants gets five tries and the first one to get five ringers wins the round. Offered at the Backroads Brewing Co. in Nelson. If you plan to stop in, we suggest you pair your visit with their Saison or the Big Smokin’ Baltic Porter and try their homemade pretzel which is baked in-house. Photo courtesy of Backroads Brewing Co.
Not just any Bingo, it is Sheddy Bingo in Kimberley. It runs every Sunday night and money raised at The Shed goes to Kimberley schools’ lunch programs. So far, The Shed has raised nearly $20,000 since they started in 2017. What makes it unique, is if two or more people get a bingo at the same time, the cards are checked and then it’s time for a dance off. The winner is decided on by applause. Prizes are donated by local Kimberley businesses. Pair it with one of their ‘Loaded Baked Potatoes’, so big it’s the entire meal. Or check out their themed meals - something different is featured each day. If you never played it, its four-on-four and the challenge is to get your bocce ball closest to the boccini (smaller ball). 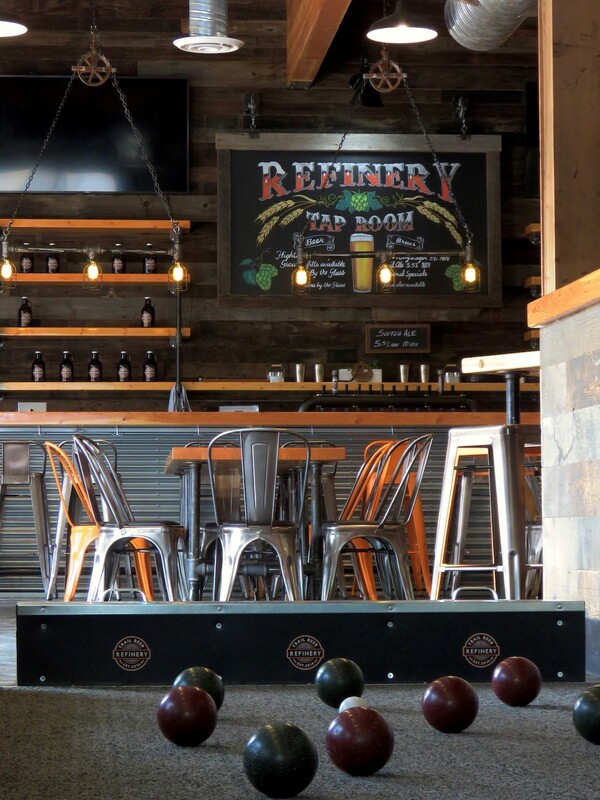 The Trail Beer Refinery has its own indoor bocce pit. Pair it with their Trail Ale or Silver City Lager, which is always on tap. Played outside or inside, players take turns throwing bags of corn at a raised platform with holes in the far end. Offered at Whitetooth Brewing in Golden; two players are needed to play. Pair it with their Launch Pad Belgian-Inspired Rye Ale or the Truth, Dare, Consequences Nordic Imperial Stout; both placed first at the ‘2018 BC Beer Awards’. Photo courtesy of Whitetooth Brewing Co.
It’s the traditional Family Feud, available at the ULLR Bar in Invermere. This memorable game is made up of teams (five members each), which face off in a series of trivia questions. Answers are awarded based on popular answers. Pair your visit at the pub with their Belly of the Beast, seared pork belly, maple bourbon glaze, chili rice crisps, baby potatoes & rendered park or the Ullr Fried Chicken with maple coriander, spicy aioli & pickles. Also known as the ‘stump’ game. Using your hammer; the overall goal is to drive all of your competitor’s nails flush with the surface of the stump and only have your nail(s) remaining. Offered at the Backroads Brewing Co. in Nelson and the Flying Steamshovel Pub in Rossland. At the Flying Steamshovel, their signature meal is the Poke Bowl with Ahi Tuna and pineapple salsa and their homemade Elk Burger topped with arugula, caramelized onions, brie, tarragon Dijon & cranberry bacon jam. Team trivia games are available throughout the Kootenays, including the Firehall Kitchen & Tap in Cranbrook, Casey’s Community House in Creston and The Pub Bar & Grill in Fernie. Story by a KootRocks Staffer; top/cover photo courtesy of Backroads Brewing Company in Nelson.